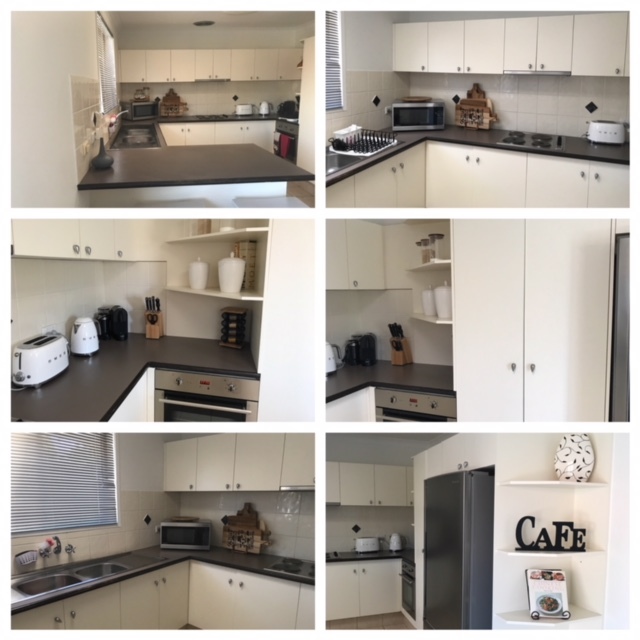 Our client’s preference were coastal interiors and colours for her new kitchen and home. 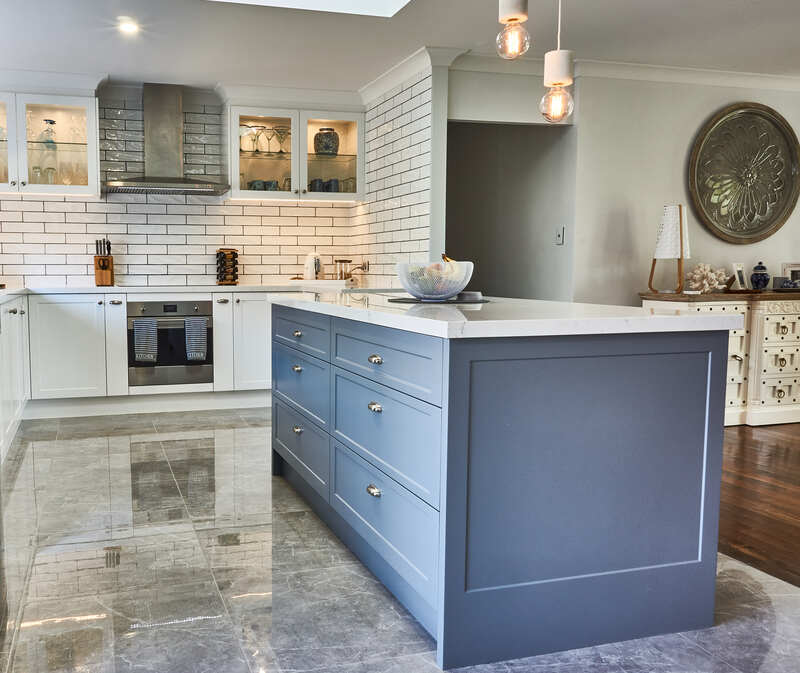 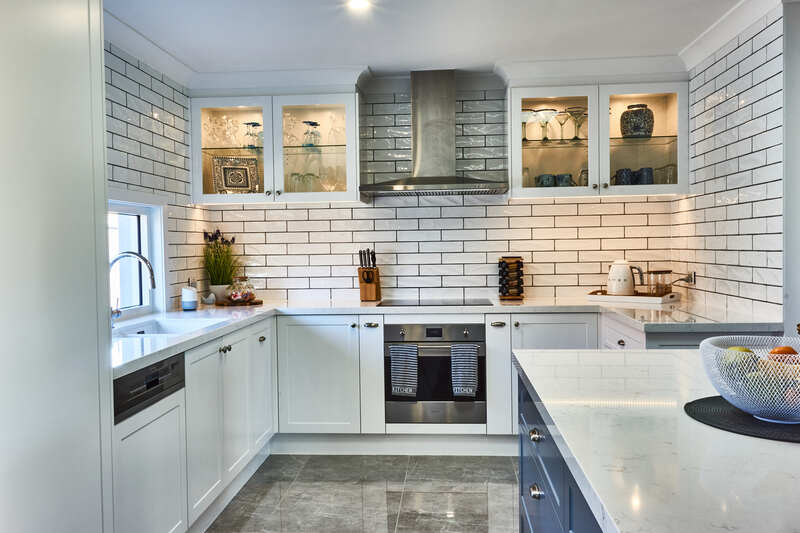 A beautiful, modern Hampton style, elegant kitchen was more important for her than storage space. 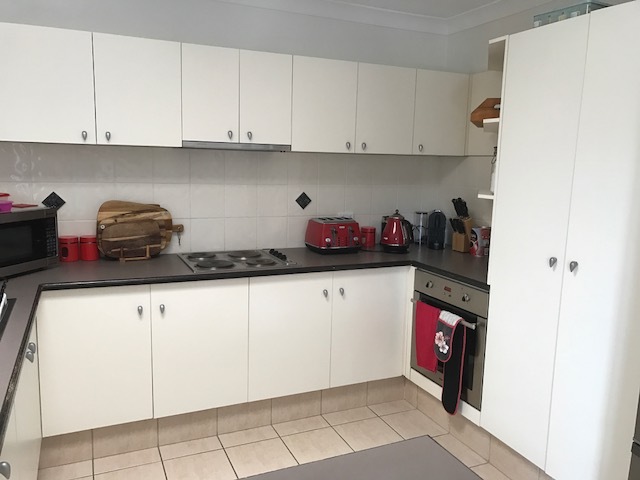 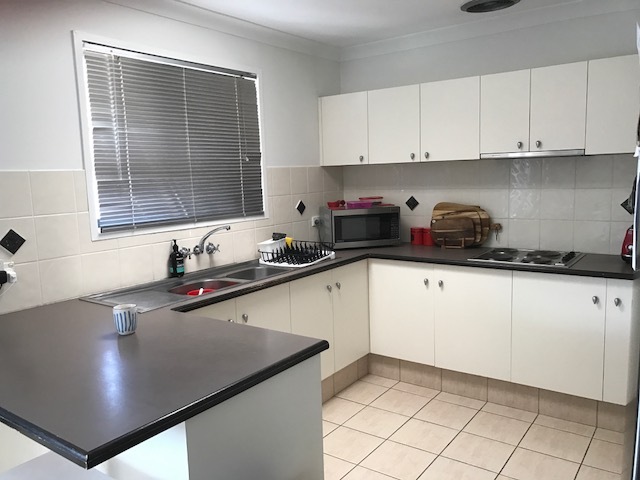 The previous u-shape kitchen was small and did not have a functional design which was overcome by demolishing one of the walls to open the kitchen and increase the floor space. 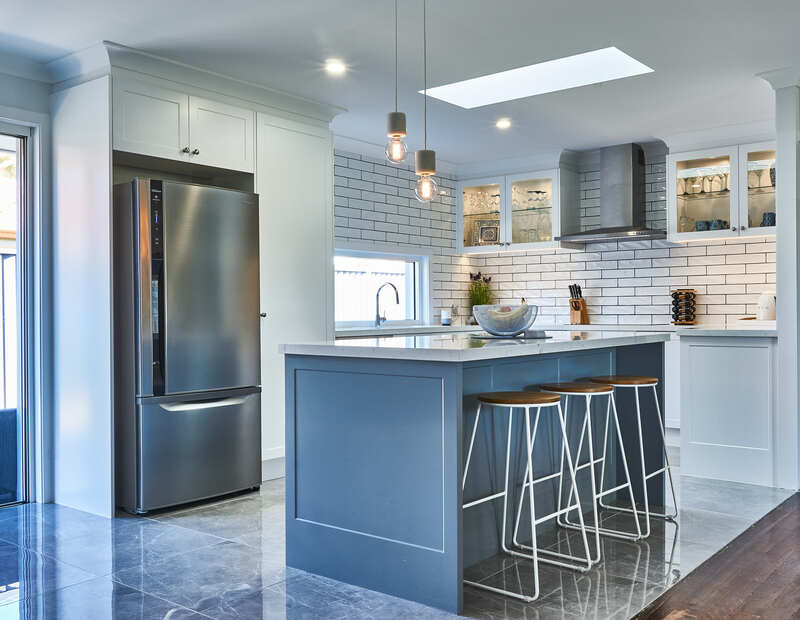 The different colour cabinetry accentuates the island which is one of the many features of this lovely kitchen.